Despite my facetious twitter post regarding the CSM’s role in Icelandic pubs this week, I was genuinely eager to take a peek at exactly what our space votes have been getting us. We’ve been treated to a comprehensive 22 page document detailing the particulars of what was discussed at the Winter Summit this week. A quick summary of some interesting points follows. CCP Fozzie took the lead at the start of the day with some fancy spreadsheets regarding wormhole space and a spike in activity with the release of Thera. Below I have outlined the key topics and the bits I’ve decided may be interesting. Consider it a tl;dr. Scope for further development of behaviours such as podding, calling in reinforcements, warping around system, etc. An understanding that it is for *new* NPC’s, meaning they would wait for a finished system before making changes to existing content such as mission NPCs. Behaviours are being slowly introduced to allow players to come to grips with the new behaviours. The prospect of a “new” mission system in the works creating constant, dynamic world content as opposed to static missions was introduced. CCP Opened the session with a brief presentation on their goals. These are not outlined in the document. *Old style* window transparency can be achieved by disabling blur and setting transparency to minimum. A list of issues including buttons that are too small and addition of contrasting themes were discussed with specific development problems relating to how a button “can’t just be changed” and its “knock-on” effects. The idea of placing the “broadcast” button in a module slot was suggested. The idea of allowing players to create a custom UI was shot down, as CCP wishes to keep a consistent aesthetic for eve. Extra “control schemes” are in development which will allow EVE to be controlled through voice commands or keyboard shortcuts. The concept of “eye” tracking was discussed with a vague suggestion it’s a technology CCP might be looking at. The old chestnut, it seems this department is always very busy! So after a brief introduction to the recent work of the Dev team the attention of the session turned to feedback and suggestions. A prototype for “conversation request” to be added to the popup notification system is in development. An “achievement” system may possibly be implemented. This may also allow corporations to create achievements for their members. An idea for a “rotating corporate task” list was discussed enthusiastically. Route sharing via the in-game map is in development. “This is Eve” widely praised. Team is currently working on the Fanfest trailer. The idea of following fleets around and recording fights was received well by the team. Registration will be open from Monday this year to cut down queue lengths and times. This year there will be a “testimonials” booth (*cringe*). More tickets for Fanfest have been sold than last year. GM’s were given a chance to introduce themselves, and from the notes it appears nobody took the initiative to scream unintelligibly at them, so it appears this year’s CSM have enjoyed a pleasant customer service experience. A new beta “resource center” is being used by the team to monitor workload. A team that monitors the people monitoring now apparently exists to make sure things get done faster and more effectively. Feedback is now forwarded to developers, as opposed to the players, resulting in it being forwarded to the forums. A video project that shows new players how to do things is in development. GM inconsistencies in dealing with issues was raised and ticket waiting times but no response is outlined in the document. The idea of more transparency on the process of banning was well received by CCP. So there we have it folks! CCP has done a fantastic job this year of making the minutes available so quickly, and we look forward to reading what will be discussed on Day 3. 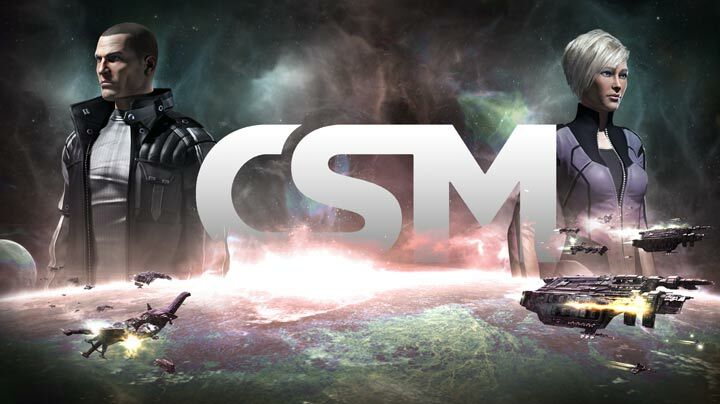 If you’d like more information on what the CSM is, who the CSM are and how to get involved, follow this link. I was just seeking this information for some time. After 6 hours of continuous Googleing, finally I got it in your web site. I wonder what’s the lack of Google strategy that do not rank this kind of informative websites in top of the list. Normally the top websites are full of garbage. Thanks a lot for sharing this with all people you actually recognize what you’re talking approximately! Bookmarked. Please additionally discuss with my site =). We could have a hyperlink trade contract between us! I have to express my appreciation for your kindness giving support to those people that absolutely need help with in this subject. Your very own commitment to getting the message up and down became really informative and has continually empowered workers much like me to attain their goals. The invaluable facts entails a lot a person like me and somewhat more to my office colleagues. Regards; from all of us. magnificent submit, very informative. I ponder why the opposite experts of this sector do not notice this. You should continue your writing. I am sure, you have a huge readers’ base already! Wow, fantastic weblog structure! How lengthy have you been running a blog for? you make running a blog glance easy. The full look of your web site is great, as neatly as the content material! I¡¦ll immediately grab your rss as I can not find your e-mail subscription link or newsletter service. Do you have any? Kindly allow me recognise in order that I may subscribe. Thanks. Great remarkable issues here. I am very happy to see your post. Thanks a lot and i am taking a look ahead to touch you. Will you kindly drop me a mail? whoah this weblog is fantastic i really like studying your posts. Keep up the great paintings! You understand, a lot of individuals are searching around for this information, you can aid them greatly. I have a service blog site whereby I supply certain items as well as services. It is also a general-information blog, nevertheless. I am seeking to move it to an additional blog site host. I understand that blogspot provides user-sponsored advertising and marketing, but exist any type of various other free blog sites that permit something like blogspot’s adsense and/or user-sponsored advertising and marketing?. hi!,I like your writing very much! proportion we be in contact extra approximately your article on AOL? I need an expert on this house to unravel my problem. May be that is you! Having a look forward to look you. hello there and thank you for your information – I’ve certainly picked up something new from right here. I did however expertise several technical points using this website, as I experienced to reload the site a lot of times previous to I could get it to load correctly. I had been wondering if your web host is OK? Not that I am complaining, but slow loading instances times will very frequently affect your placement in google and could damage your high quality score if ads and marketing with Adwords. Anyway I’m adding this RSS to my e-mail and can look out for much more of your respective fascinating content. Ensure that you update this again very soon.. Simply wish to say your article is as astounding. The clarity in your post is just excellent and i could assume you are an expert on this subject. Well with your permission let me to grab your feed to keep updated with forthcoming post. Thanks a million and please carry on the rewarding work. I’m still learning from you, while I’m making my way to the top as well. I definitely liked reading all that is written on your blog.Keep the information coming. I liked it!